GENEVA (11 March 2014) – UN High Commissioner for Human Rights Navi Pillay expressed deep concern on Tuesday that civilians in South Darfur, Sudan, have been bearing the brunt of recent attacks. “There has been a disproportionate use of force by armed groups in areas in South Darfur that are not military targets. 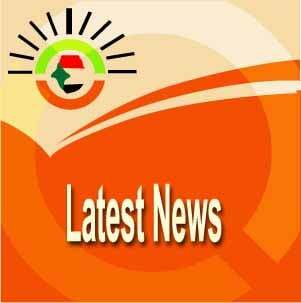 There must be an immediate halt to attacks on unarmed civilians,” she said. According to witnesses, these groups have attacked some 45 villages in the Um Gunya area, approximately 50 km south of Nyala, the capital of South Darfur state, since the end of February. While it is difficult to ascertain the number of people killed, an estimated 50,000 civilians have been displaced amid #####ng and arson. “I urge the authorities to protect civilians and hold to account those who have committed grave breaches of human rights and humanitarian laws,” said Pillay. The High Commissioner voiced concern that peacekeepers from the United Nations/African Union Mission in Darfur (UNAMID), as well as human rights and humanitarian agencies had been prevented from reaching areas affected by the attacks. 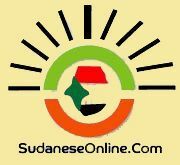 “The Sudanese government must allow UNAMID to fulfil its mandate to protect civilians, and grant access to populations in need,” she said. The High Commissioner noted that the attacks were adding to the number of internally displaced people (IDPs), with many of those fleeing ending up in camps in South Darfur such as Kalma and Al Salam, near Nyala, where the number of IDPs was close to 200,000 before the recent attacks. “Their arrival is having an overwhelming impact on the already limited water, food and health care available in the camps. The increase in displacement is a worrying trend at a time when civilians were being encouraged to return to their villages of origin,” Pillay said. The High Commissioner called on all parties to the conflict to participate in UNAMID’s mediation initiative. She also urged all armed groups to avoid using civilian populations in many regions of Darfur as a shield for military operations. “A military approach will not bring about the peace that the people of Darfur deserve after so many years of armed conflict,” Pillay said.